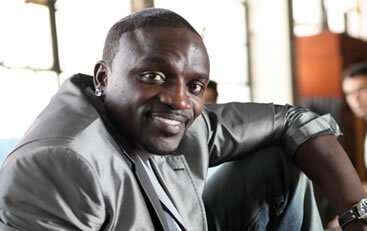 Akon (real name Aliaune Thiam) is an American R&B and Hip Hop singer-songwriter. Since his 2004 debut album ‘Trouble’ Akon has gone onto establish himself as a hugely successful artist, particularly so in his native Amercia. Akon was the first artist to twice simultaneously hold the number 1 spot in the Billboard single and album charts.